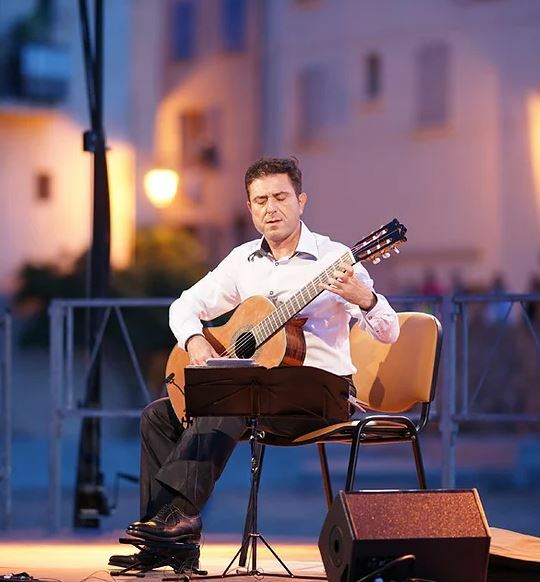 Santo Domingo.- The Roundtable of the Commonwealth Countries in the Dominican Republic and the Symphony Foundation on Wed. announced the first performance in the country by renown Maltese classical guitarist, Simon Schembri, on Nov. 30, to mark the 30th anniversary of the British Chamber of Commerce in the Dominican Republic (BRTICHAM). The famous guitarist, who has performed for England’s queen Elizabeth II, and the heads of states of Commonwealth countries, will start the function at 8:30pm, at the Colonial Zone’s Regina Angelorum Church, where business and community leaders, senior govt. officials, diplomats and guests. Roundtable president Fernando González Nicolás will head the event, with, Symphony Foundation president, Margarita Copello, and British Chamber of Commerce president José Rodríguez. Sponsors: Air Caraibe, Sheraton Hotel, Club Hemingway and Viamar Group. Tickets can be purchased at the Symphony Foundation, located on. # 1, Eduardo Vicioso St. in the sector La Julia. Contact: phones 809 532 6600 and 809 535 8690; e-mail: boleteria@sinfonia.org.do.